The house is on a raised garden. Barbeque and Oven has Pizzas. 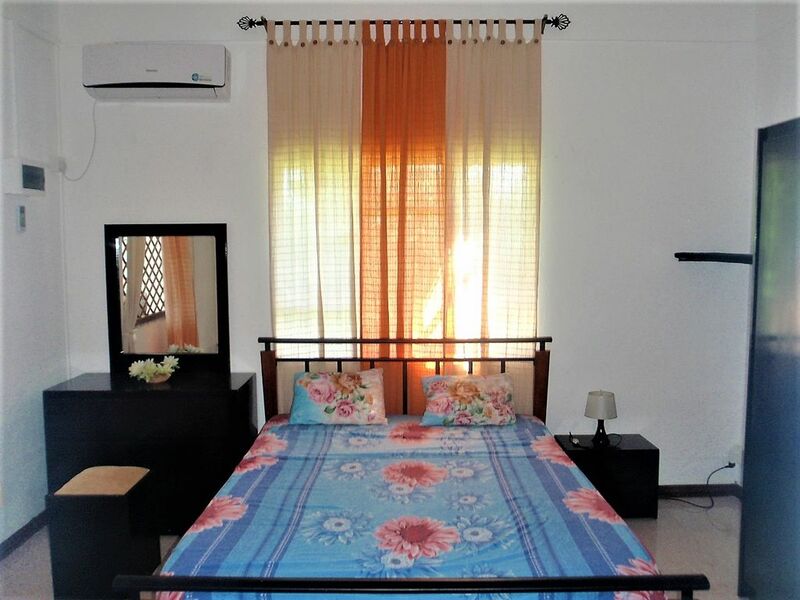 One bedroom is air-conditioned and the other non-air conditioned but with its private veranda + ventillator and both with their private water rooms, fully equipped kitchen, satellite TV lounge, large veranda which serves as a dining room. Breakfast is included. All shops nearby (bakery, self service, post office, ATM machine, fuel pump and bus stop at 200 meters). A lot of fresh fruits on the spot according to the seasons for some !! !